In the last couple of days, Asus has cut and run and Nvidia has blamed it for poor sales of its Tegra processors, Is it time for Microsoft to abandon the Windows RT experiment? Not on your nelly. Despite taking a $900m hit (about £591m, AU$981m) on the Surface RT slate, Microsoft has underlined its commitment to Windows RT and the ARM processing architecture required to run the operating system. In a statement on Friday, a Microsoft spokesperson told CNET: "Windows remains committed to the ARM platform. 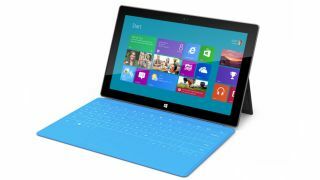 "We are looking forward to new ARM-based Windows devices that will launch later this year," the statement continued, hinting at an updated version of the underachieving Microsoft Surface RT tablet. The statement came on the same day Asus revealed it would no longer built devices for the ARM-based OS and will instead focus on creating full Windows 8 devices running on Intel processors. The company's CEO Jonny Shen said Asus shared an "industry sentiment that Windows RT had not been successful." Nvidia's CEO also put the boot in with Jen-Hsun Huang admitting the recent failures of Windows RT, which uses its Tegra chips to provide the processing power, would make a positive return unlikely. He said: "Because this particular platform just didn't do as well as we or frankly anybody in the industry had hoped, we don't expect as much returns on that investment as we originally hoped." Huang did admit that Nvidia is hard at work on the Surface RT sequel, so will will get at least one more tablet running the Windows RT OS, but after that who knows? With the PC industry encountering more struggles than at any time in recent history, can it afford to carry a passenger like Windows RT? Let us know in the comments section below.